Skye had desperately been searching for a new home for months. Since her owners had developed allergies she was spending most of her time in the yard, when all she really wanted was to be with the people she loved. 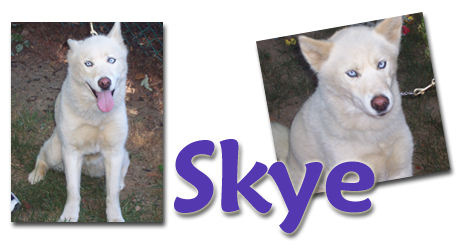 Every night Skye would wish that she could find a family that had a dog just like her that she could play with. 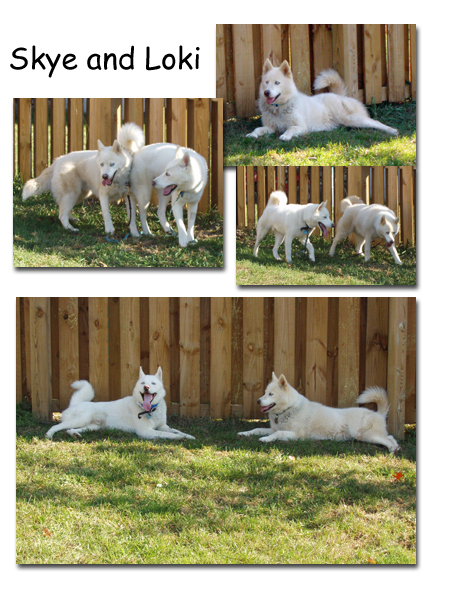 On November 12, 2005 Marc and his dog Loki had a date with TOTTSHR, to meet some friends to keep Loki company. Little did they know that they would be meeting Loki’s twin, Skye. This awesome all white duo really hit it off and although Marc feels like he is seeing double he couldn’t help but give Loki the best present ever, a forever friend.